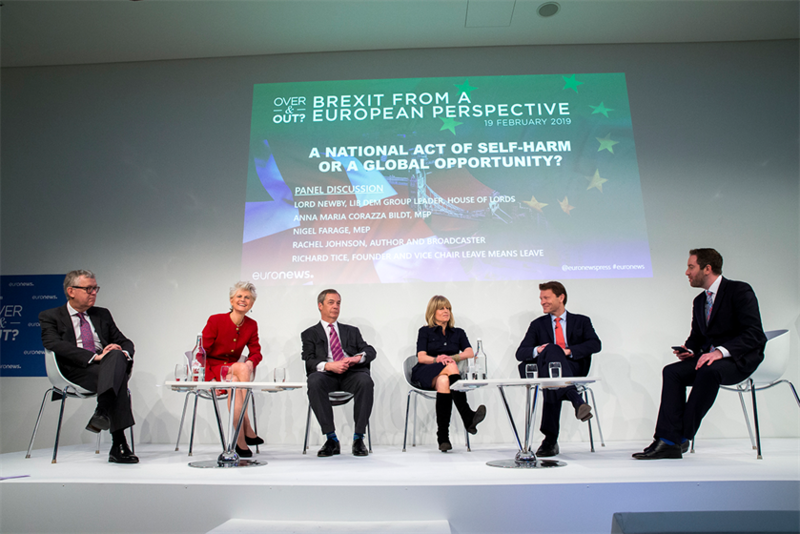 As conflicting political figures join a panel to debate Brexit, what can brands learn from an unapologetic approach to political conversation and debate? 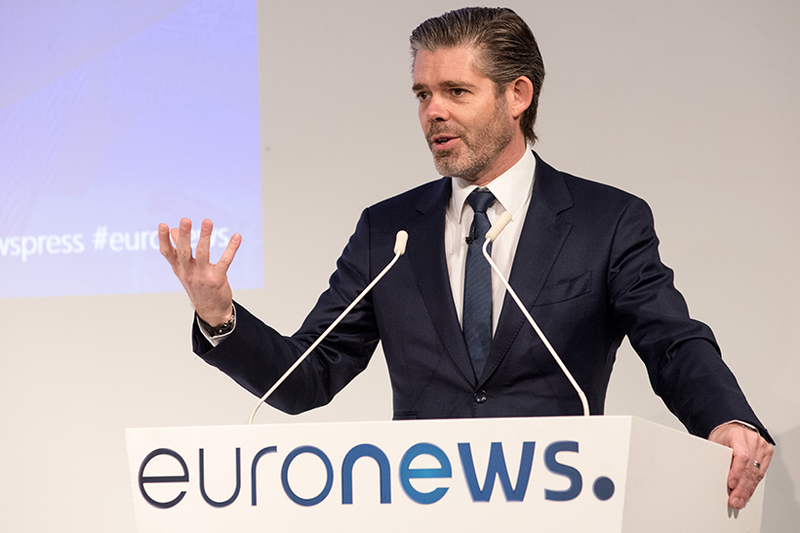 "We are really strong believers that, in order to make your own opinion, you need to get a lot of views and perspectives," said Michael Peters, Euronews’ CEO, introducing Euronews’ conference: Over and Out? Brexit from a European Perspective. The event brought diverse political voices to an audience of advertisers and businesses. 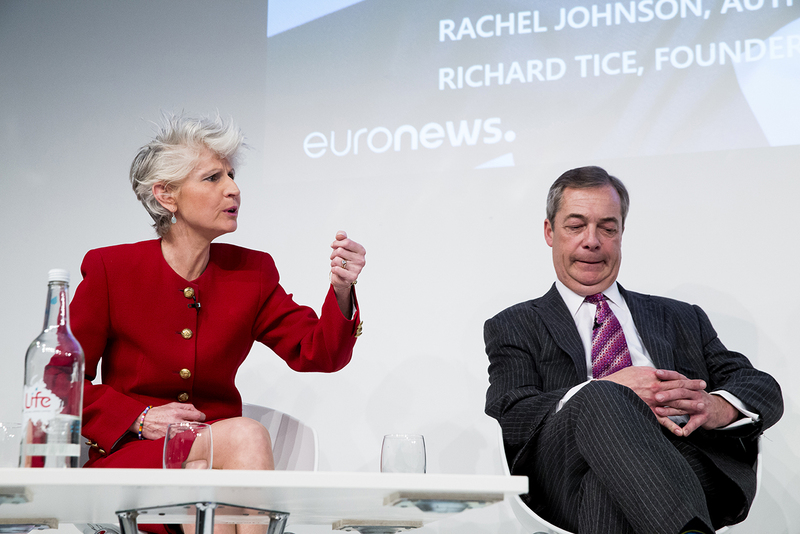 The panel included prominent pro- and anti-Brexit political figures – including Nigel Farage MEP; founder of Leave Means Leave Richard Tice; Anna Maria Corazza Bildt MEP; Lord Newby, leader of the Liberal Democrats in the House of Lords and Rachel Johnson, author, broadcaster and People’s Vote campaigner. 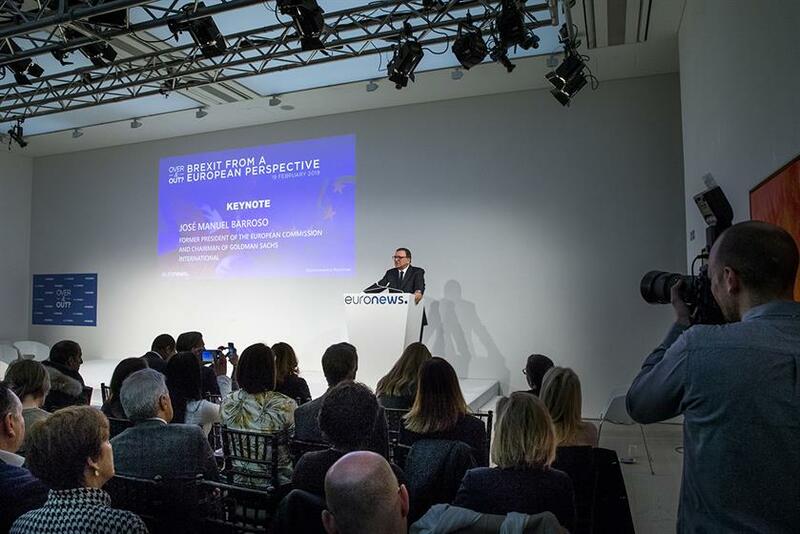 The event demonstrated Euronews’ commitment to "unapologetic impartiality". 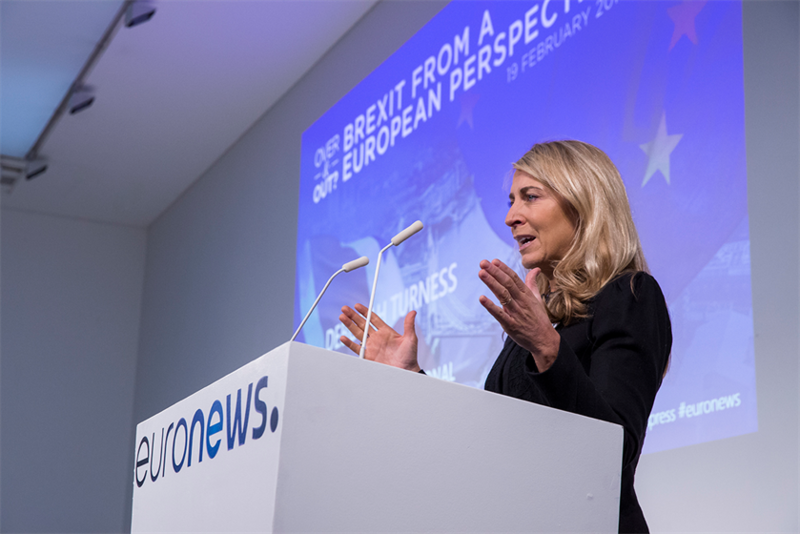 Deborah Turness, president of NBC News International – Euronews' editorial partner and 25% shareholder – explained that by welcoming voices from the centre, left and right, you get "full truth and transparency. We are building Europe’s Town Square, a safe zone to have that conversation," she said. 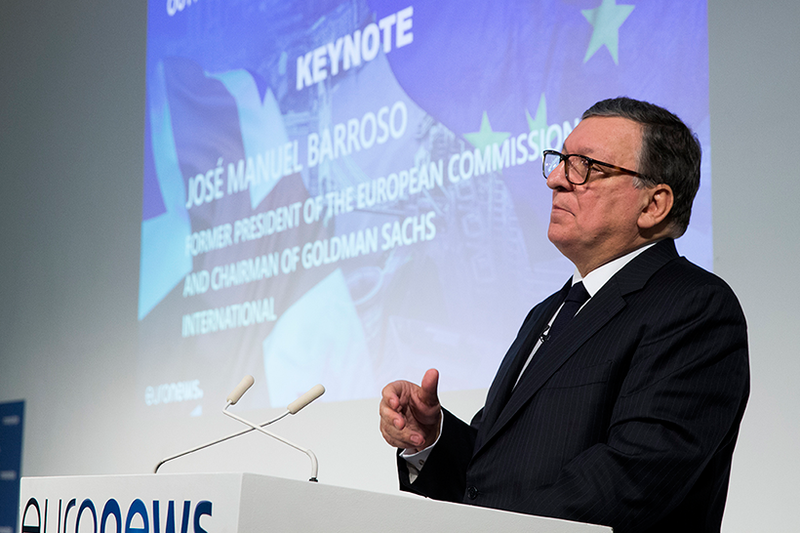 Keynote: "There is still some room for negotiation"
"I am convinced that there will be no country more important for the European Union than the UK," said the keynote speaker, José Manuel Barroso, former President of the European Commission and Chairman of Goldman Sachs International. "I also believe there will be no relationship more important for the UK than the one with the European Union." He said that it is essential to mitigate Brexit’s negative effects and ensure that the separation happens in the "least dramatic way possible." "Negative effects there will certainly be," he said, adding that the UK will lose a great deal of its influence on the European Union: "The UK has been in the leading position when we had to take decisions in matters from trade to climate change, from internal market, financial services, economic reform to strategic relations with our main partners or competitors." He said that the UK will remain a very important economy, but "it will definitely not be in the Premier League of global economic relevance." The main objective should be as close a relationship as possible between UK and the European Union: "A hard separation between the UK and the European Union will dramatically reduce our capacity to face global challenges," he said. "As it stands today the default option will be a hard Brexit. That will be a lose-lose situation." He concluded that there is still room for some negotiation: "One of the things I learned in Brussels is that while it’s very difficult for the European Union to reach an agreement…I think it is possible with some creativity and imagination to find some kind of compromise." Brexit: A national act of self-harm or global opportunity? Richard Tice, founder of Leave Means Leave, said: "The tragedy at the moment is that we’ve got a government that sees it as a problem rather than an opportunity." Nigel Farage, MEP, added: "There’s a great and exciting world out there. Many of them speak English and some of them actually like us… let’s be a global powerhouse." Darren McCaffrey, Euronews’ political editor asked the panel if optimism was missing from the Brexit debate. "What is there to be optimistic about?" said Lord Newby. And added that there are two million new voters since the last election, the majority of whom are remainers. "By denying the people the chance to have a vote," Lord Newby said, "the government is promising – threatening – to take the UK out of the EU against the majority of what people want, and against the vast majority of the views of young people whose future is absolutely on the line." Anna Maria Corazza Bildt, MEP, asked: "What would you say to the people that were lied to, who don’t know if their job is on the line or not?" Farage said: "Badly run businesses are going bust. It happens. It’s called capitalism." Corazza Bildt said: "It is so irresponsible. People want responsible politicians who give concrete answers and solutions. You are still cheating." Tice said that the UK is employing more people than ever before, last year growing faster than Germany, France and Italy. "We’ve got wages growing faster than inflation – thanks to Brexit," he said, adding that "over 90% of our UK businesses do not report to the European Union." Newby responded: "You can almost hear the suction as EU nationals either start to, or actually are, leaving the UK. Whether it’s chefs, nurses, doctors or people who have just had enough of the casual abuse they are suffering by being European, which they have never suffered before." "We'll be free," said Farage. "Self-governing, independent nations make their own laws, control their own borders and have their own courts." "Please, stop using the word 'free'," said Corazza Bildt. "You [the UK] have been shaping the Europe we have and we're glad for that." "We're leaving… there is a consensus in this country," said Farage. Farage said that "we should just get on with it" and Corazza Bildt and Lord Newby pressed him to define what "it" actually means. "You never specify, you always generalise," said Corazza Bildt. "What does 'get on with it' mean? Please answer." "Leave. L-E-A-V-E," said Farage. "On WTO rules at 11pm on March 29th this year, that is what we should do. However, I don’t think Westminster is in touch with public opinion on this at all." "No only you are," said Corazza Bildt. Farage responded: "My track record on that is pretty good, actually." "Yes, it's called populism," Corazza Bildt said. "It's called democracy," said Farage. "You don't like that sort of thing. And it's very awkward for you when you get the wrong result." 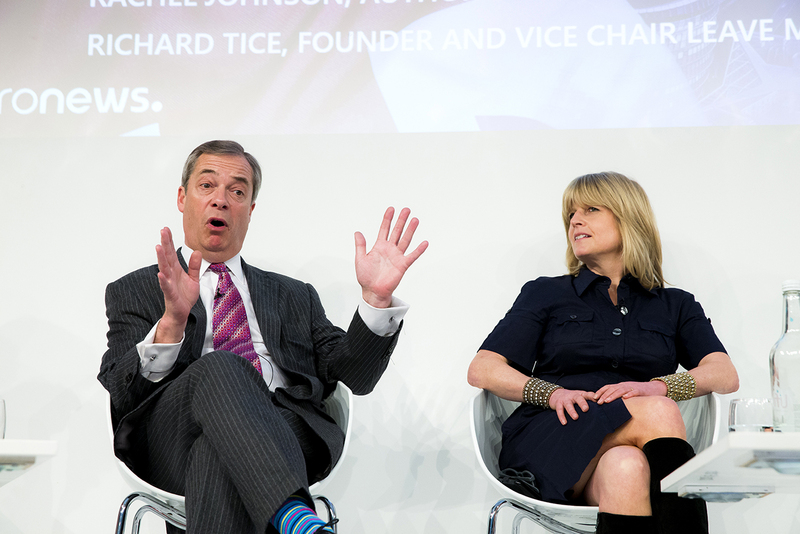 Author, broadcaster and People’s Vote campaigner, Rachel Johnson asked Farage directly: "If we get Theresa May’s deal, do you think it is actually worth leaving or should we stay and give people another decision? Will we get a free, independent Britain back?" "Not under Mrs May’s deal," said Farage. "We get Brexit in name only… but money is pouring into London at the moment." Tice added: "Office take-up is at the highest levels for ten years.… industrial take-up is at the highest level for five years because actually businesses are getting on with it." An audience member asked whether the UK political environment will allow for a government that will let the country capitalise on the Brexit opportunity. "Brexit gives us the right – you could argue – to mismanage our own country," said Farage. "At the moment it’s difficult to see where UK politics is going. What is clear is that the two-party system just can’t cope with Brexit. It’s too difficult for them… I think we will see a reshaping of British politics." 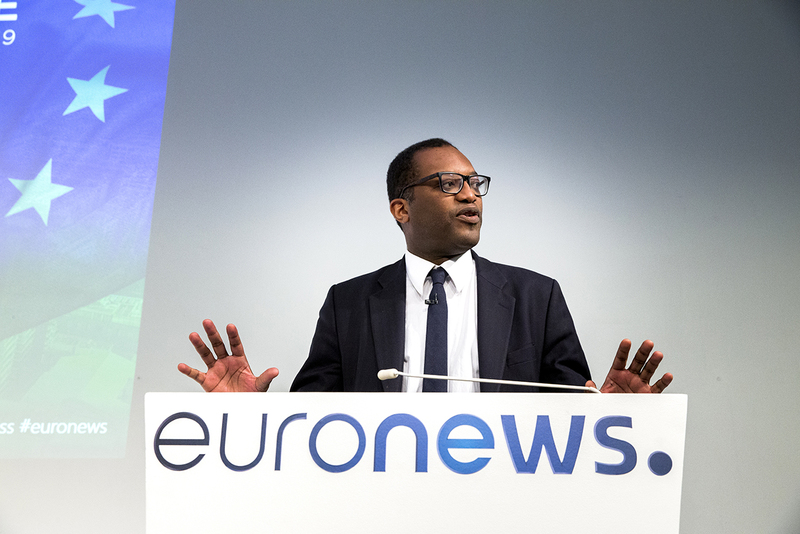 Kwasi Kwarteng, Minister in the Department for Exiting the EU, said that it is crucial to get a sense of perspective around the Brexit issue, rather than "getting lost in the weeds and emotions". Citing Ernest Renan’s opinion that "getting its history wrong is part of being a nation", Kwarteng said that Britain never had a comfortable place in the EU, adding: "We’re an island nation but with a global outlook. The issue was always going to come to a head." Kwarteng said he told then Prime Minister David Cameron that even if the British people voted for remain the issue wasn’t going to go away. "Brexit in the scheme of things will be seen as a process in the relationship with the EU," he concluded. 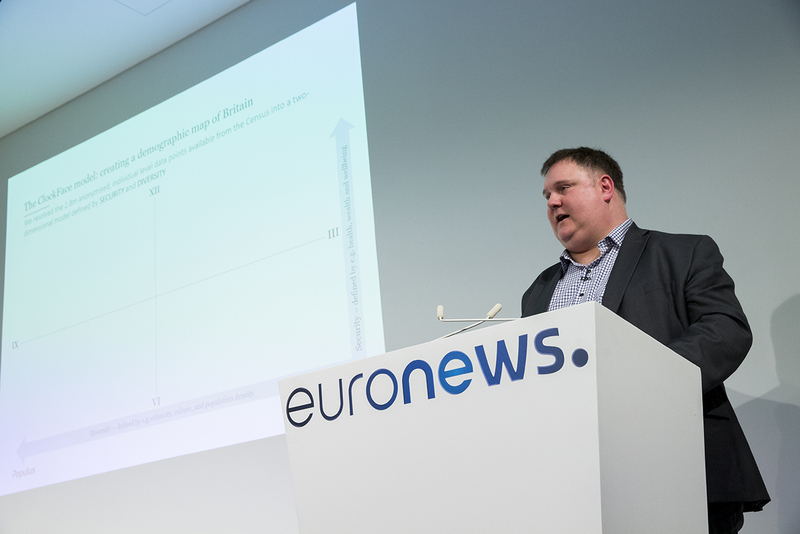 According to new research carried out by Populus and Euronews, the old certainties of what drives political opinion no longer hold, revealed Rick Nye, principal director at Populus. Populus polled at least 1000 adults in each of the UK, France, Germany and Italy, in December 2018. They were asked about the factors of security and diveristy. Quotas were set and post-weighting applied to make each national sample representative of that country’s adult population by age, gender and region. The last few years in particular have seen the emergence of "non traditional" politics, Nye said. He revealed that the game is no longer traditional left/right politics based on economics – it’s left/right politics based on values and identity. Nye said that the reason we are seeing new parties being born, traditional parties splintering and existing parties reorienting their internal coalitions is because they are competing with new parties of populist left and populist right. These parties have footholds with those who are categorised as high-security/high-diversity and those who are categorised as low-security/low-diversity quadrant. People are hungry for news on a local level, Nye said. People continue to predominantly identify through their local area, and relate to stories related to their nation and locality. It’s important that brands and businesses deliver global stories with local angles – glocally, as Euronews is doing – to hit the sweet spot.